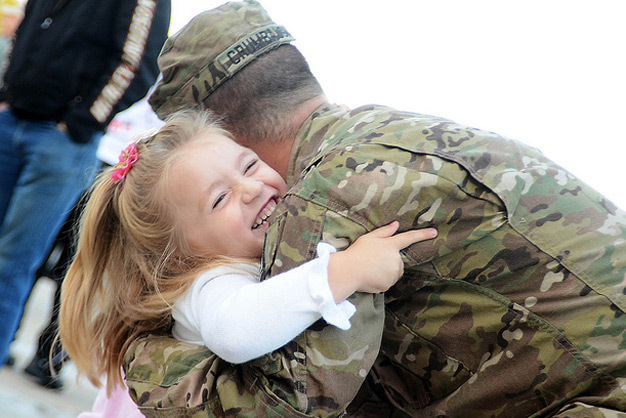 A soldier from the Michigan National Guard, is welcomed home by his daughter after a year long tour in Afghanistan on Sept. 28, 2012. Photo by Staff Sgt. Helen Miller/US Army.